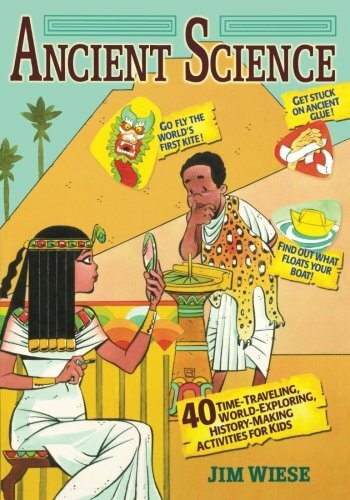 Dig into the science of ancient times and unearth amazing discoveries! * Have you ever wondered where paper comes from, who made the first known maps, or how the ancient Egyptians were able to build the pyramids? * Would you like to make your own sundial, discover how to detect earthquakes, or learn to write in hieroglyphics? * Are you looking for great ideas for your next science fair project? If you answered "Yes" to any of these questions, then Ancient Science is for you! From Greek lighthouses and Roman bridges to Chinese kites and Mesopotamian soap, you'll investigate some of the greatest scientific discoveries and the people who introduced them to the world. Dozens of fun-packed activities help you see for yourself how the earliest humans cultivated plants, why instruments make different sounds, how fireworks get their explosive power, and much more. All of the projects are safe and easy to do, and all you need is everyday stuff from around the house. So step back in time and take an amazing journey with Ancient Science!